Screw that. Make your own. Born By The Seine shows you how. The tutorial doesn’t say how much these shoes cost to make, but I bet they were a few bucks cheaper than $660. 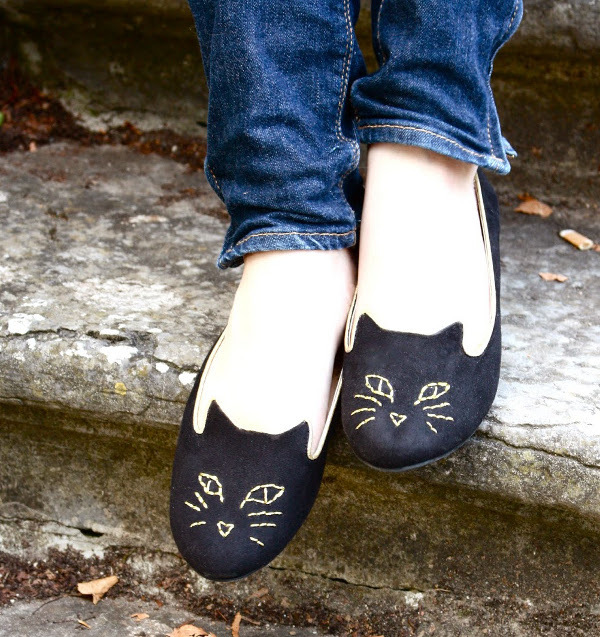 I did something like this with a cheap pair of ballet flats I got from Ardene’s (an accessories shop out of Quebec). I had bought about 10 pairs of flats last summer (2 for $10 – how could I resist?) in all sorts of colours. The pair of pink flats and the pair of purple flats were both in a faux-suede fabric which ripped at the corner of the toe (by the pinky toe) the first time I wore them. Instead of throwing them out I used embroidery thread in green and gave the whole shoe a border which followed the 1 1/2″ tear down my toe. I then added a leaf coming from the “stem” and small beige “v” shapes all over the shoe to make my shoes look like I had slipped my feet into giant strawberries. They are really cute and I love them now. Sounds great. It makes me want to try embroidering shoes too.